The old days of external auditors claiming that they are not responsible for detecting fraud and of managements depending upon management letters from external auditors for learning about weaknesses in their internal control systems have changed with the enactment of the Sarbanes-Oxley Act (SOX). 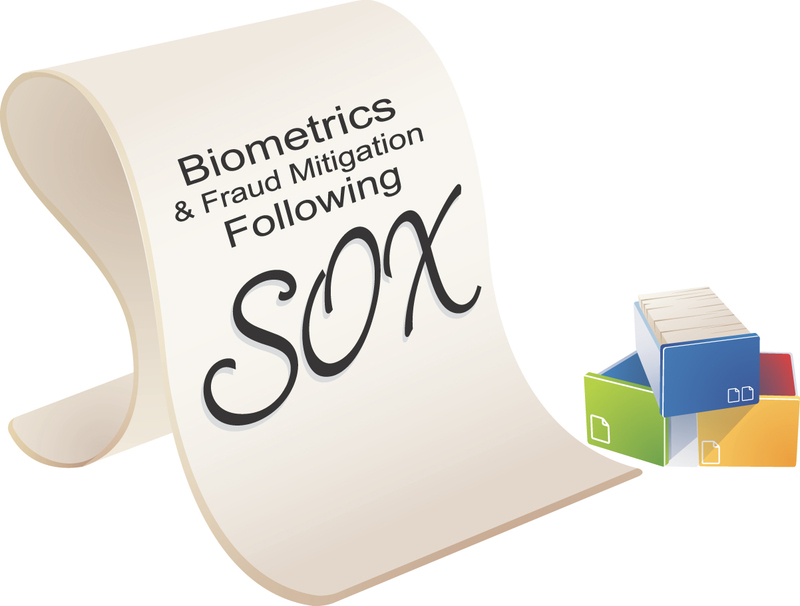 Following SOX, external auditors, corporate attorneys, directors, and managements of large companies have legal obligations to mitigate fraud. Just as it is smart to use seat belts in automobiles regardless of local legal requirements, it is smart to use biometrics to improve internal controls and to mitigate fraud regardless of whether companies are large enough to be subject to SOX or to other mandatory laws, regulations, standards, or to codes. Laws represent minimum standards. Companies may still suffer large losses from frauds even if their internal control systems meet minimum standards. In the United States, the numbers and sizes of major accounting frauds and scandals became so excessive that Congress passed and President George W. Bush signed the Sarbanes-Oxley Act (SOX) of 2002. Investors and other third parties who have relied upon managements’ representations and certified financial statements have sought to recover their losses in the courts. As experience with SOX and court cases develop, there will be a better understanding of who will be held responsible for accounting frauds, scandals, and internal control failures. Lawsuits against external auditors, corporate attorneys, directors, and managements will provide evidence of what needs to be done to correct these failures. There can be several legal cases related to the same loss because parties may file cross complaints against each other. However, there are steps corporations should be taking now to mitigate future frauds. Over time, court decisions have expanded the types of third party users of certified financial statements. In Ultramares v. Touche & Co. (1931), the court held that auditors may be held liable for ordinary negligence to a third party -- provided that the auditors were aware that their certified financial statements would be used for a particular purpose by known parties. More recent cases have moved from the known user approach to a foreseen user approach. For example, in Williams Controls v. Parente, Randolph, Orlando & Associates, 39 F. Supp. 2d 517 (1999), the court held that auditors could be liable to a purchaser of a client’s business even if the auditor did not know at the start of the audit who the purchaser would be. Certified public accountants will not be able to continue to accept financial audit engagements unless corporate managements mitigate the possibilities of frauds. Directors and officers have relied upon the availability of errors and omissions (professional liability) insurance. For a long time, external auditors attempted to defend themselves in fraud cases by claiming that the purpose of a financial audit (as opposed to a fraud audit) is not to detect fraud. Sections 302, 404 and 906 of the Sarbanes Oxley changed the responsibilities of corporate managements and of auditors with respect to fraud mitigation. To comply with the Sarbanes-Oxley Act, corporations need to improve documentation and internal controls for financial reporting. These internal controls need to be tested and monitored to make financial reporting transparent. Management is required to provide a report on its internal controls. An independent auditor has to evaluate management’s assessment of its internal controls and provide a report. Thus, the external auditors now have added responsibility for fraud mitigation. The Sarbanes Oxley Act of 2002 created the Public Company Accounting Oversight Board (PCAOB) for setting auditing standards for public companies. Smaller companies continue to use Statements on Auditing Standards from the American Institute of Certified Public Accountants (AICPA). On July 25 2007, the SEC approved PCAOB’s Accounting Standard No 5 “An Audit of Internal Control over Financial Reporting That Is Integrated with an Audit of Financial Statements” [“PCAOB’s New Audit Standard for Internal Control over Financial Reporting is approved by the SEC”. Date: July 25, 2007. Retrieved September, 2007 from http://www.pcaobus.org/News_and_Events/News/2007/07-25.aspx]. All registered audit firms will be required to use this standard for their audits of internal controls. In November 2002, in the wake of the accounting scandals, the Auditing Standards Board issued SAS 99 “Consideration of Fraud in a Financial Statement Audit”. SAS 99 supersedes SAS 82. It gives the auditor more guidance to detect material misstatements due to fraud in financial statements. [CPAs’ “Perceptions of the Impact of SAS 99” Authors: Donald C. Marczewski and Michael D. Akers. Source: The CPA Journal. Accounting frauds perpetrated by high-level managers of major companies prompted the passage of the Sarbanes-Oxley Act. These accounting frauds were possible because of weak internal control systems and of external auditors claiming that financial audits were not designed to detect frauds. The DuPont case shows that there are reasons beyond accounting frauds for strengthening internal control systems. A single employee accessing trade secrets can cause hundreds of millions of dollars of losses for a company, lawsuits, and declines in the value of a company’s stock. According to a 2006 study by Association of Certified Fraud Examiners, 25% of internal frauds caused at least US$1 million in losses per incident. The first single incident median loss was US$159,000 and in over 9 cases the internal fraud cost the company over US$1 billion. [ACFE (Association of certified Fraud examiners) 2006 Report to the nation on Occupational Fraud. Frauds cannot be completely eliminated, but controls can be put in place to minimize frauds. A company has to have tighter controls over the user’s system access rights, limit access to sensitive data based on user role, and monitor who tried to access sensitive data. Instead of using a weak password control system, companies need to be using a user access authentication system with these characteristics: unique identification of each user and controls extending to the transaction and field levels. Biometrics for computer authentication is different than biometrics for law enforcement. For law enforcement an “open system” is used where law enforcement authorities scan a finger with an optical sensor and store an entire image of the finger (mostly all fingers) in the national IDENT or AFIS database. This enables all law enforcement authorities to check fingerprints against those templates. Biometrics for computer authentication can protect the privacy of users of the system while still identifying uniquely the users. A proprietary binary template (01110101010) consisting of a unique set of numbers is created, not an optical scan of the fingerprint. While a few laptop computers had fingerprint sensors already in the late 1990s, every major laptop manufacturer offers now at least one model with a built-in fingerprint sensor. With the astonishing improvements in the sensor technology, manufacturers have switched from a larger touch sensor to a smaller and much more secure swipe sensor. Built-in fingerprint sensors, together with hard drive encryption, were the top 2 requirements from corporate America for laptop manufacturers. of abstracts from the DuPont server and intended to use this confidential data in his new post. cooperated with DuPont and seized Min’s laptop and handed it over to the FBI for investigation. Min later admitted to misusing DuPont’s trade secrets. PricewaterhouseCoopers LLC as seen in their 10-k report. Thus, DuPont complied with SOX. This compliance did not eliminate their exposure to fraud by internal security threats. This fraud could have been mitigated if biometrics were used at DuPont for internal controls. had access after biometric authentication to only data related to his research. to this confidential data. This would prevent unauthorized users from accessing the trade secrets. have saved them the expense of going through a court case to protect their intellectual property. Paul Sheldon Foote is Professor of Accounting at California State University, Fullerton and Reena Hora is Independent Information Technology and Services Professional and Master of Science Information Technology at California State University, Fullerton.